Weedless - Rig the same way you rig a Texas Rig or Tex Pose. 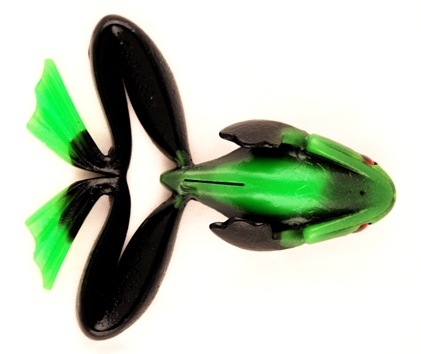 Floating Feature - A large air bladder located center of the frog's body. 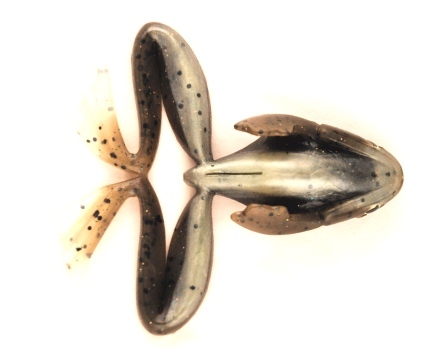 The Air Bladder acts as a floatation device and hook pocket. 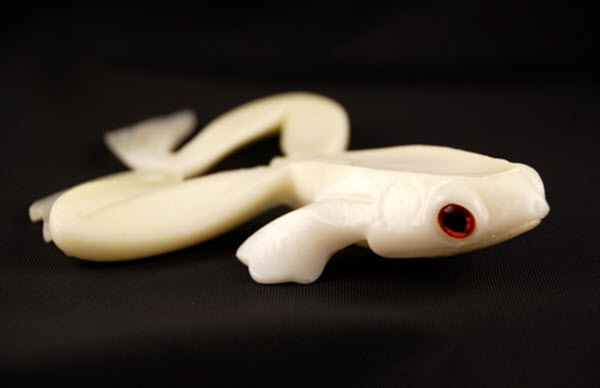 Arms and legs add to the lure's realism but also add incredible action. Notice the ankles are connected! 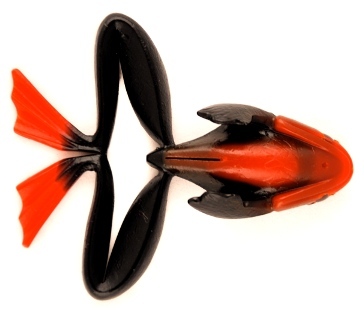 When you pull the frog forward, the legs extend and retract just like a real frog. 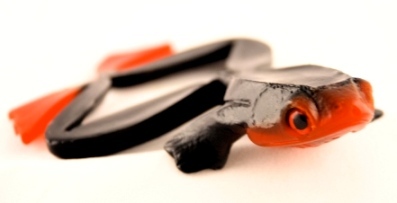 TIPS: To reduce tearing at the nose, put a small plastic bead on prior to tying the line to the hook. 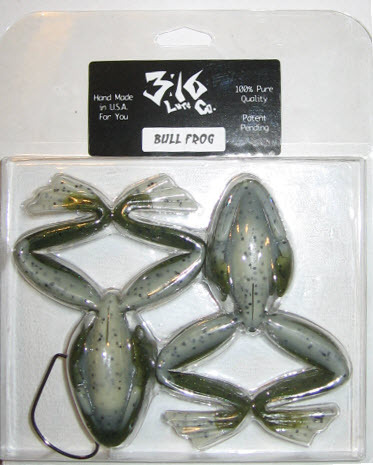 Aweome frogs and amazing customer service!